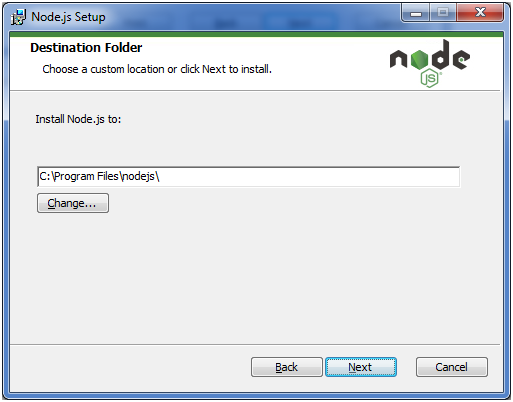 The text editor is used to type your program. 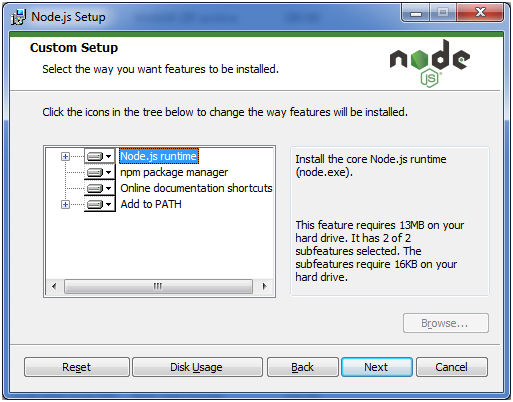 For example: Notepad is used in Windows, vim or vi can be used on Windows as well as Linux or UNIX. 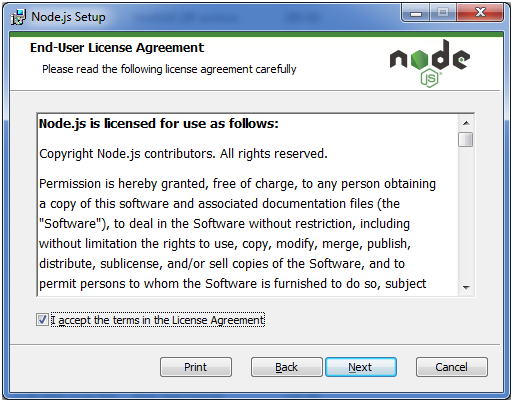 The name and version of the text editor can be different from operating system to operating system. 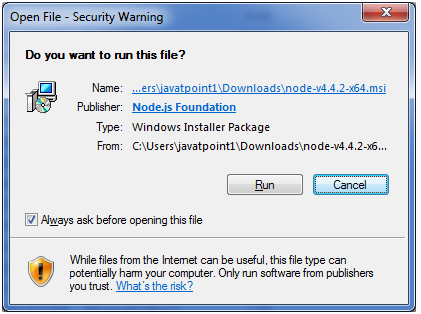 The files created with text editor are called source files and contain program source code. 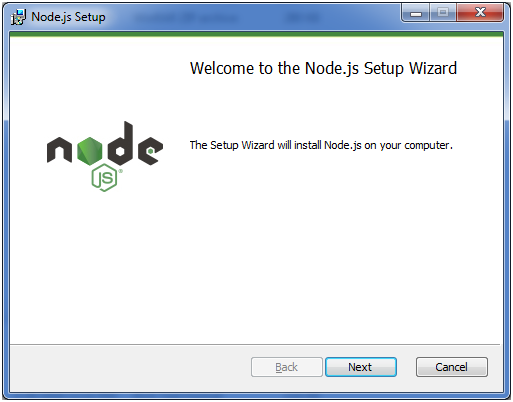 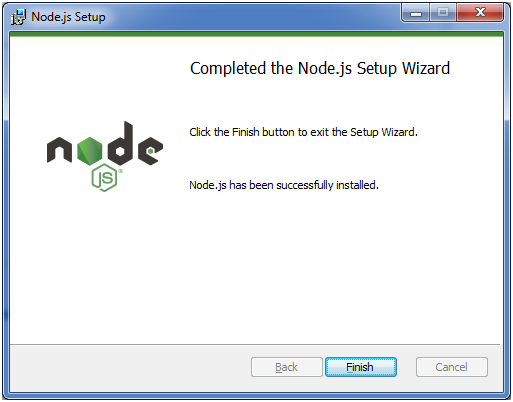 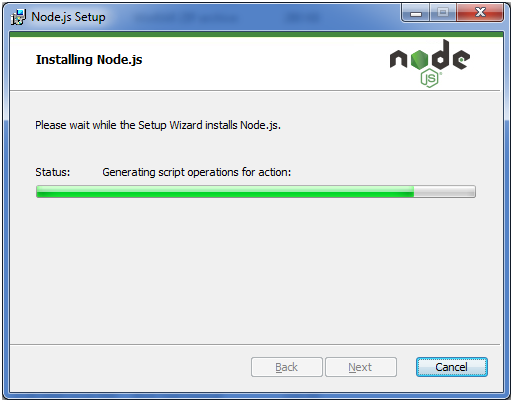 The source files for Node.js programs are typically named with the extension ".js". 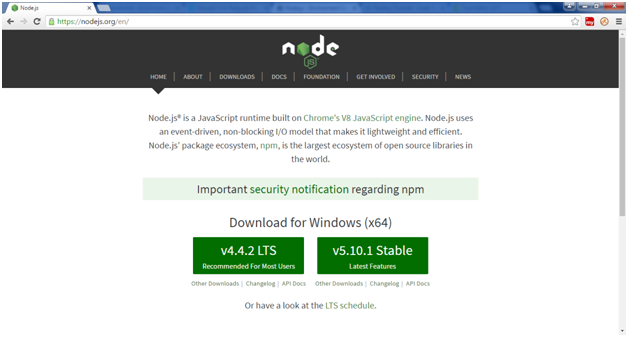 Here, you deploy the installation of node-v4.4.2 LTS recommended for most users. 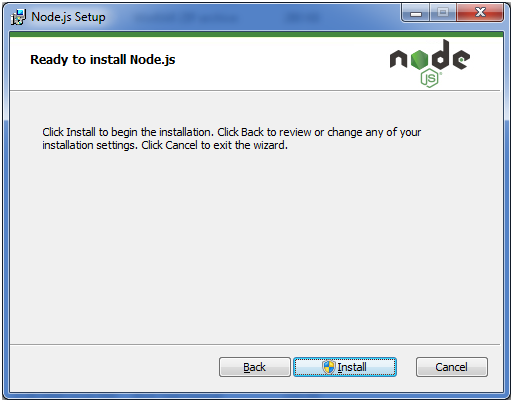 Choose the location where you want to install.